Jaseng Hospital for Korean Medicine is in the process of applying to the prestigious Accreditation Council for Continuing Medical Education (ACCME), based in the United States, to become an accredited provider of CME. Once accredited, Jaseng will be able to certify its educational programs for Category 1 credits from the American Medical Association. The American Medical Association’s Physician’s Recognition Award (AMA PRA) is the gold standard for recognizing lifelong learning by physicians throughout the world. Today, the CME Program at Jaseng includes a comprehensive approach to integrative medicine (IM) through the IM Grand Rounds, workshops, and other training opportunities-for medical students and doctors, and learners attending other annual professional events. The Global Affairs Office at Jaseng is charged with providing medical practitioners throughout the Jaseng Hospital for Korean Medicine with continuing medical education (CME) that serves to address practice gaps and improve them, thereby enhancing Jaseng’s commitment to the provision of quality medical care that blends the best of Korean Medicine and Western Medicine. The Office of Global Affairs’ program of continuing medical education is overseen by a distinguished Board of CME Advisors. The Board will ensure policies and procedures that are consistent with the criteria and standards of the ACCME and Jaseng, represent the views and needs of the various constituencies of the Jaseng CME Program, and facilitate the expansion of the program throughout Jaseng and its worldwide partners. For more information about the CME Program at the Jaseng Hospital for Korean Medicine, please contact Ji Yun Shin at jasengliaison@gmail.com. Welcome to the JASENG CME Online Homepage! This activity will provide an opportunity to acquire knowledge in various conventional and non-conventional non-surgical treatment options for acute back pain. The content will present opportunities to differentiate between treatment options in order to assist in the creation of a treatment plan that is based on scientific evidence. In addition, the evidence-based options will allow consistency across specialists, subspecialists other professionals who treat patients with acute back pain. This activity is designed for orthopedists, neurosurgeons, rehabilitation specialists as well as other clinicians interested in treating pain-related patients. To access the course material you will need to login or create an account. The activity is complete when you have read the material, reflected on the questions and completed the evaluation. Compare various conventional and non-conventional options for the treatment of patients who have acute back pain. Analyze the scientific evidence for appropriate treatment options. Evaluate the advantages and drawbacks of each treatment option in order to be able to implement a treatment that is consistent across professional disciplines involved in the care of patients with acute back pain. Jaseng Hospital of Korean Medicine upholds the standard that continuing medical education activities will be free of commercial bias. Every individual including the course director, planners, faculty, staff, etc., who may have potential to affect the content of this educational activity, on behalf of themselves and their spouse or partner, reported no financial relationships with a commercial interest related to the content of this activity. As course director and faculty, Dr. Park, nor his spouse or partner, report no financial relationships with an ACCME defined commercial interest related to the content of this activity. Dr. Sang-won Park is a Korean Medicine doctor at Jaseng Hospital of Korean Medicine in Seoul, Korea. He is currently a member of Korean Society of Chuna Manual Medicine for Spine & Nerves, and a member of the Society of Korean Medicine Rehabilitation. His medical specialties are spine & joint, rehabilitation medicine. This activity will provide an opportunity to acquire knowledge in Temporomandibular disorder (TMD) and its implications in gender difference. TMD is a general term that encompasses a heterogeneous group of musculoskeletal and psychophysiological pain conditions involving the temporomandibular joint (TMJ) and adjacent structures. This activity seeks to define TMD and uncover associated factors including gender differences and quality of life indicators that will positively impact the ability of physicians to accurately respond to patient queries and care. This activity is designed for orthopedists, rehabilitation specialists as well as other clinicians interested in treating joint related patients. To access the course material you will need to login or create an account. You have completed the activity when you have read the material, reflected on the information and completed the evaluation. Identify gender differences in Temporomandibular joint disorder (TMD) in order to appropriately treat patients especially when diagnoses are largely reliant on patients’ self-report. Discern the physiological and pathological impact of TMD in order to communicate with patients about how chronic pain, associated with TMD, is associated with quality of life. Formulate potential treatment options that take into consideration TMD and quality of life indicators, especially in women. Jaseng Hospital of Korean Medicine upholds the standard that its continuing medical education activities will be free of commercial bias. As course director and faculty, Dr. Kim, nor his spouse or partner, report no financial relationships with an ACCME defined commercial interest related to the content of this activity. Dr. Minkyu Kim is a Korean Medicine doctor at Jaseng Hospital of Korean Medicine in Seoul, Korea. 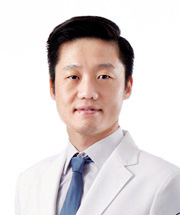 He is currently the academic director for Society of Sports Korean Medicine, and education commissioner for Korean Society of Chuna Manual Medicine for Spine & Nerves. 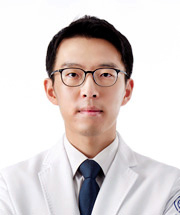 He is also a member of the academic committee of Korean Society of Chuna Manual Medicine for Spine & Nerves, as well as the Society of Korean Medicine Rehabilitation. His medical specialties are temporomandibular joint (TMJ) disorders and rehabilitation medicine.